Photo is generic. Multitestor tested for voltage. PSU for MAIN charger charging base ONLY - NOT for remote charging base. 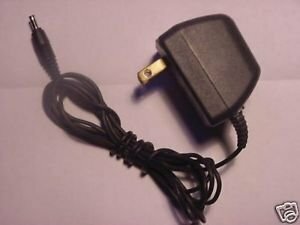 Plugs into ordinary household wall outlet. Power supply (PSU) only. No remote charger base, main charging base, instructions, handset or other parts or accessories. Please determine compatibility for your device before purchase. Questions are encouraged.S&H in the contiguous USA is $4. (insured shipping). Please see other interesting items by JGrit.USPS DELIVERY TIME: As stated in the item listing, seller will drop-off your item to the USPS within 4 days of receiving cleared payment. How long it takes to deliver to your door is strictly within USPS control and not within the control of seller. Please leave 5 stars for seller 4 day drop-off time.